CONQUER is a comprehensive, self-paced, guide to help you understand the terms you need and want to rank for. During this course you will learn how to create and implement your SEO plan! CONQUER is a comprehensive, self-paced, guide to help you understand the terms you need and want to rank for. Because having the perfect landing page and blog post is critical in SEO, we are including the following products with your purchase! During this course you will learn how to create and implement your SEO plan! You will learn how to utilize your keywords across multiple social media platforms! 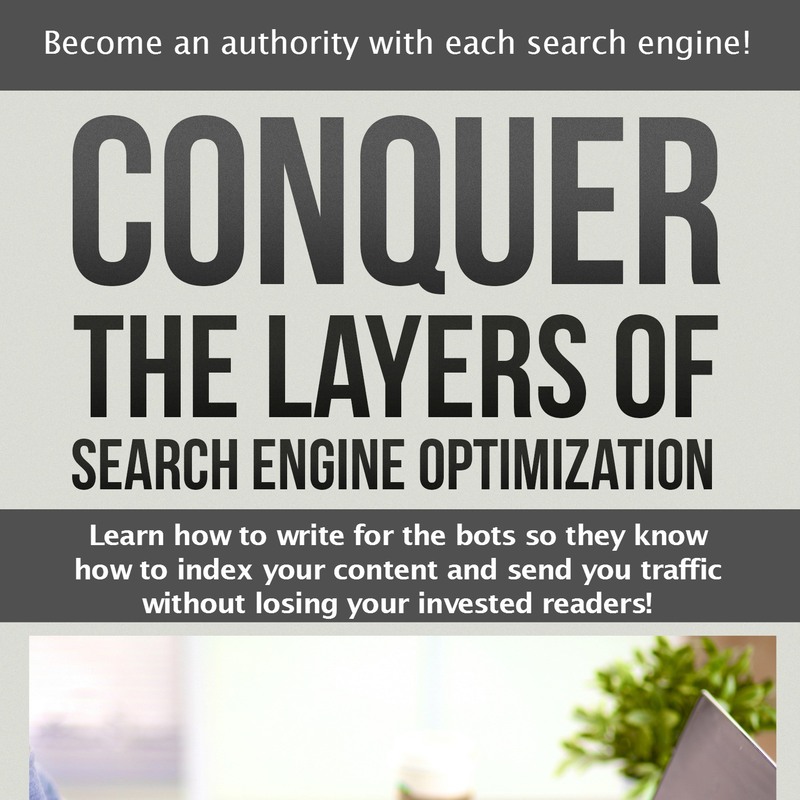 You will learn how Kelli and Crystal conquers ALL the layers of SEO! Kelli and Crystal created the course. Years ago Kelli was a Power Seller on EBAY (over 10,000 items per month and top seller in the Gulf Coast Region) and did so by teaching herself SEO. When she started blogging, SEO was natural for her. She then taught Crystal and together they implemented a method and teaching style that works for bloggers – especially those in predominately female niches. 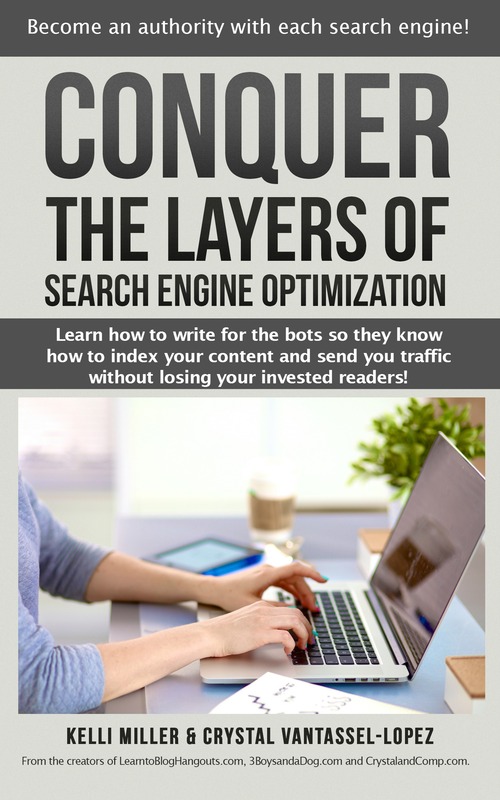 Google is constantly their top referrer for traffic (with other search engines pretty close behind) and those readers stay and click on other content because we know how to write for the bots and we know how to show the bots we are authorities for the topics we write about. Nothing drives us crazier than to see a blogger speak or sell you something, only to drag you along dangling a carrot in your face and never telling you the REAL answers. We are transparent! We’ve built a solid following of bloggers who trust us. We have a group of over 3,700 bloggers who have followed our blogging guidance for years using the free 80 G+ hangouts we’ve created since 2011. We are known for our actionable step, Layman terms teachings in everything that we teach- from making money to using Google Analytics and Webmaster Tools. We offered the course for 3 years as an instructor lead course. Here are some testimonials from bloggers who have taken the instructor lead. We would only allow 10 bloggers at a time since it was so time intensive on our end. We had 111 students over the course of time that we offered it. Michelle from Making Sense of Cents. Each of these bloggers were already making a full-time income when they took the course and most of them were over or close to 1 million pageviews a month – yet every single one of them saw search engine growth! We moved the course to self-lead and sold over 10K worth within the first month. It is 35 lessons that are all step by step. Some of them include video. We are very thorough and explain everything in layman’s terms and are very respectful of your time. When the course was instructor lead it was 4 weeks long. I would expect it will take that long to implant the entire course as self-lead but you certainly can go faster or slower. The course includes worksheets and two cheat sheets. As someone who took one of the instructor-led courses, and has also purchased Skyrocket and Dominate; I questioned if Conquer would be something that I would need. No doubt, I was excited to see that there was going to be a self-led version but I wondered if it would really be of value to me. Then I reminded myself how often I refer back to the techniques that were taught in the instructor-led course. And that my fundamental introduction to SEO was through the instructor led course. So, that ultimately lead to my decision to purchase this course. And was it worth it? Absolutely yes. I love that everything is easy to access, and that I can refer back to it as often as needed. The worksheet is invaluable to me and something that I will use often. Another added bonus is the private Facebook group. Both Kelli and Crystal are hands-on and active to help you out as you need. I am the type of blogger who totally geeks out at the nitty gritty stuff behind the scenes. I prefer courses that can teach me actionable steps instead of just fluffy information with a “go forth and do” framework. Ain’t no one got time for that if you are truly hustling to make your blog grow. If I could count up the money that I’ve spent on fluff, I’d probably give myself a heart attack. Meet Crystal and Kelli. They do not provide fluff. I appreciated the actionable steps they provide within every single module of this course. At this stage of the game, I consider myself a blogging veteran and even these ladies taught me how to be more organized and methodical in creating blog posts and landing pages. 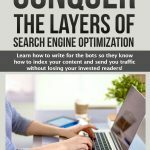 If you are in this to grow your blog and to not depend on one particular social media network to send you the traffic, you need to invest in Conquer. Honestly, I was hesitant to purchase Conquer because I had already purchased Skyrocket and Dominate and the Cheat Sheets. But then I remembered how incredibly helpful those were and decided to go for it and purchase this course. I am SO glad I did! This course includes a bounty of actionable tasks, at an advanced level from the other LTB coursework. They have a video AND written lessons and tell you what to do step-by-step. No fluff. Just steps on how to rock your blog. I purchased Conquer 9 weeks ago and I am already seeing AMAZING results. My traffic has made an amazing leap from just trickling in each day, to multiplying 17 times what I am used to! Crystal and Kelli are amazing women. Not only do they absolutely know what they are talking about, they will answer your questions pretty much right after you ask in detail to help. They are invested and really want to see all of their customers and students succeed. After years of chasing promises of increased pageviews and traffic, now I only follow what Kelli and Crystal have taught me because it is working. I enjoy my work and no longer question what I am doing. When you question the cost of the course, just forget that because after you complete it you will make that money back in spades.